Hey guys! Ayesha and I went shopping on Black Friday, and obviously we had to buy some more books….. So, I thought I’d do a little book haul for you guys! The first book we bought was “My True Love Gave to Me”, which includes 12 winter romances by twelve different authors including Rainbow Rowell, Stephanie Perkins and Gayle Forman. I’m not going to lie… The gorgeous book cover was one of the reasons we had to buy the book (yes, we are those kind of people). I’m really looking forwards to reading this book, not only because I am feeling very festive, but I haven’t read a book by multiple authors before. Staying on the Christmas theme, we decided to buy “Let it Snow” by John Green, Maureen Johnson, and Lauren Myracle. The book includes 3 wintery love stories that collide on one magical night, making it the perfect book to read this time of year! I’ve heard so much about this book, and I can’t wait to read it. We were sent 3 books by lovereading.co.uk (thank you!!!) to review by December, so I thought I’d add them into the haul too! We were sent “I Was Here” by Gayle Forman, and I was so excited because I’ve been looking forwards to more of Gayle Forman’s books after reading “If I Stay” earlier this year. Ayesha has already read the book, so you can expect a review very soon! Next, we were given “The Earth is Singing” by Vanessa Curtis. Set in Latvia during the Nazi period, the story follows a 15 year old Jew, Hanna Michelson, and how her life changes after the Nazi’s take control of Latvia. As I’m studying Nazi Germany for A Level History, and I’m a huge fan of “The Book Thief” by Markus Zusak, I am so excited to read this book, and will let you know my opinions soon! We were also sent Sleepless by Lou Morgan, which is another horror book from the Red Eye series. The story is about a group of friends who decide to take a study pill during exam period. 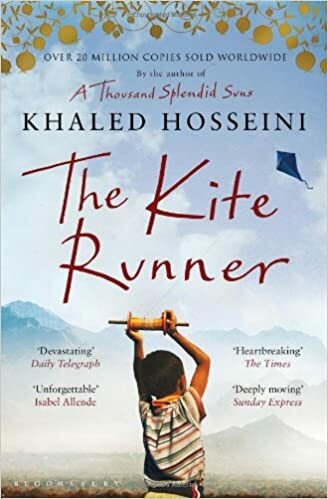 However, little do they know, they will soon experience unusual side effects that are so much worse than failing exams… I am intrigued by this plot as I’ve never read anything like it before! Thank you for reading, and I wish you a lovely December! The girl with a room full of antique dolls. The girl that shouldn’t be there. I was lucky enough (and very grateful!!) to be sent this book for review by www.lovereading.co.uk (all opinions are completely my own! :D). I was highly anticipating this novel because I haven’t had a chance to read many other horror books. However, I thought this book had all the ingredients for the perfect horror story; a vulnerable protagonist, a mysterious boy, creepy dolls and a haunted house! It was a very fast read and I felt myself wanting to get to the end of every chapter. The storyline was meticulously thought out, Alex Bell intricately weaved her storyline incorporating many twist and turns I didn’t see coming. The characters were also carefully crafted to bring the storyline together. I loved the creepy cover, and I thought it reflected the feel of the book perfectly. I also loved that there were little poems at the start of every chapter, which told a little story of their own. I think this story was an amazing twist on a classic haunted-house-type horror novel. The motif of the dolls could have been typical in a horror novel, but Alex Bell put her own spin on the idea, making it original. However all things said there were some things I didn’t love so much. Firstly, I thought the language used was very basic, for this reason I would recommend “Frozen Charlotte” to younger readers. While I was reading it, I was waiting for Alex Bell to “wow” me with her choice of language which didn’t happen. Secondly, there were times where I didn’t connect with the main character, Sophie. In some scenes she made stupid decisions that were obviously going to go wrong. I know this is a common theme in horror books and films, but it didn’t make it any less annoying! 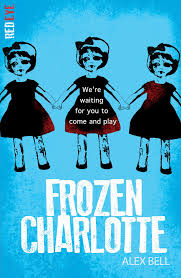 Overall, I really did enjoy this novel, and after reading “Frozen Charlotte” I would definitely pick up another book from the “Red Eye” series! Yesterday, we went to see the third Hunger Games movie with a couple of our friends. I went into the theatre not really knowing what to expect; I love the adaptations of the first two books, but the last book was my least favourite of the three, so I was a bit wary for the movie. However, I was pleasantly surprised with the movie, and from the first few minutes of the film, I found myself absorbed into the Hunger Games world once again. Firstly, I am going to talk about the things that I loved in the movie, and believe me, there were a lot of things I loved. To start off, the effects were absolutely incredible. The explosions and fire, and everything else that comes with a Revolution were faultless and always looked so realistic. It really brought the film together, and was a pleasure to watch. Next, I was so pleased to find that Peeta featured in the film much more than I expected. I remembered while reading the first half of the book, it was very Katniss dominated, and I found myself missing Peeta, so it was a surprise to see Peeta’s face more than I expected. And, of course, more Peeta means more Josh Hutcherson… I really can’t complain. Still on the subject of Peeta, I was amazed with how eerie Peeta looked when he was rescued from the Capitol. He looked so ill and thin, which made me want to cuddle him even though I would probably get strangled as a result. Moving on from Peeta Mellark, I was surprised to find myself tearing up throughout the movie. Believe me, I am not one to get emotional during films (that’s Ayesha’s job), but there were some scenes that just got to me. Katniss visiting the hospital in District 8, and her propaganda speeches were all so emotional, and I loved seeing the vulnerable side of Katniss that we didn’t really get to see in the other movies. Jennifer Lawrence’s acting was just incredible, as usual. Furthermore, the film was action-packed, and had an intense atmosphere throughout, which kept me holding my breath on more occasions than one. I’m also going to take this time to praise the hair and make-up department of the Hunger Games. Katniss and Prim’s hair were perfect all through the film. Their hairstyles left me in braided awe, and really quite jealous. Overall, the film was fantastic, but I’m going to be picky and tell you about some things that I thought could have been improved ever so slightly. First things first, I kept waiting to see more of Finnick, but I was never quite satisfied. I don’t know if that was just me and my Finnick-obsessed brain, but I thought Finnick had a bigger role in the book compared to the film. Katniss and Finnick were meant to bond over the fact that Annie and Peeta were both held prisoners in the Capitol, but I didn’t really see that happening. Instead, I felt Gale playing the role of Katniss’ saviour and taking the role that Finnick should have played. Also, I didn’t like how Katniss just accepted Haymitch, when compared to the book, she had a hard time forgiving him after he left Peeta. I thought the book lacked the clash of Katniss and Haymitch’s personalities that was so prominent in the book. However, all things said, I thought the movie was a brilliant adaptation of the first half of the book. It left me eagerly waiting for the final movie of The Hunger Games series, even though the ending isn’t one of my favourites. The movie was so much better than I had expected, and I left the cinema trying to calm my heartbeat. If you haven’t seen the movie yet, I highly recommend you take a trip down to your local cinema ASAP. The Book in 3 Words: Capturing, Emotional, Real. 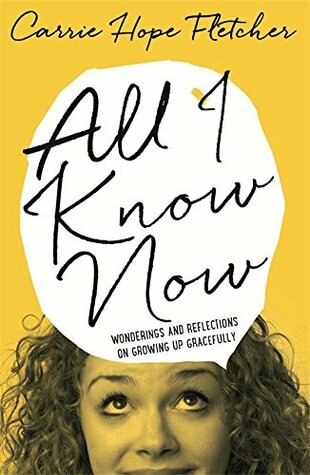 Monisah’s thoughts: I don’t know how long this book has been sitting on my shelf un-read, but I finally picked it up and how I am so glad I did. From the first page of the book, when I read, and I quote: “I want you to know I am both happy and sad, and I’m still trying to figure out how that could be”, I knew this book was a good one. 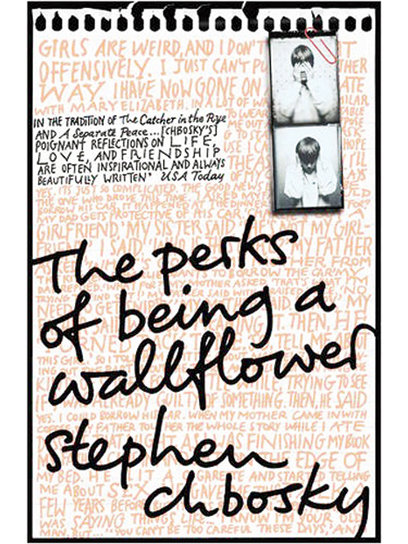 Stephen Chbosky transports you to Charlie’s world with a writing style so unique, you can’t help but feel that Charlie is something more than just fictional. With a gripping storyline, and strong character progression, you might as well glue the book to your hands, and I’m pretty sure it won’t make any difference. The one thing that amazed me with this book was how real it was. From the characters, to the themes, everything felt so prominent. I found myself loving every single character, and it amazed me how emotionally attached I felt to all the characters, including the minors. As the book is written in letter format, it instantly differs from anything you will have read, and I loved that about the book. I had such high expectations about the book, and I can honestly say it didn’t disappoint me. I would recommend this book to everyone, as it has now become one of my favourite books of all time! However, with some mature themes, I don’t think it will be suitable for younger readers. Welcome to our blog! We decided to start a blog, simply because we love to read! You can expect to read reviews on a range of genres including Fantasy, Romance and Contemporary, which is mainly YA Fiction. Although we have a shared blog, we will post separate reviews, and we will try to update weekly. We hope you enjoy reading our reviews as much as we love writing them!